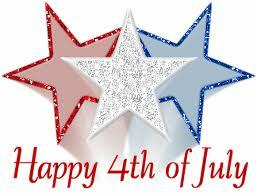 Happy Fourth of July from Magellan College Counseling! I don’t mean to sound like a broken record – but it’s time to start thinking about college! If your student will be a senior this fall, consider the Common App Boot Camp on Sunday, August 4th in Century City. College applications are due anywhere from November 1st to about January 15th – no time to waste! Let’s get those applications started. If your student will be a junior, keep in mind that our comprehensive college counseling plan is one fee for all of junior and senior years. Start now and avoid saving all of the work until next year. Exploring colleges this year will mean less stress and less work down the road. Contact Evelyn for more information! Enjoy your long holiday weekend as we celebrate freedom, American style!